Figuring out if you have a toilet leaking water is easy to do. There are typical signs to look and listen for. The most common cause is a faulty flapper. The sounds of a toilet leaking water can be quite annoying to your ears, but it can also be a burden on your wallet if the issue isn’t immediately detected and repaired. Here are some easy insights to help find the leak, common causes to the problem, and DIY tips on how to fix. There are many different signs that your toilet may be leaking. You may notice water on the floor by the base of the toilet, or you may hear unusual sounds, like continual running water, trickling water, or hissing. You may also notice that the toilet never seems to properly shut off, or you may receive an unusually high water bill. 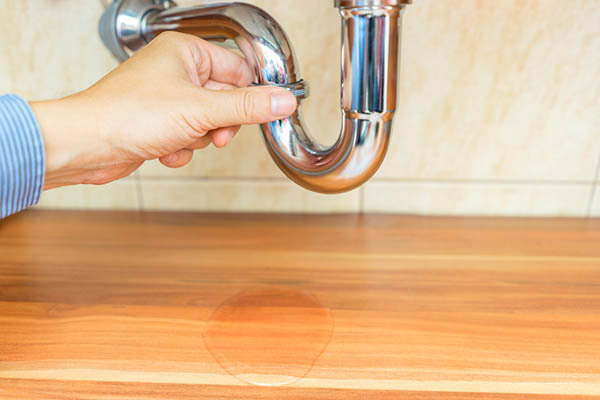 One way to check for a leak is by purchasing toilet leak detection tablets.They can be found at hardware stores, online or you can check with your local utility company to see if it provides them. The tablets emit a dye that shows up in the water of the toilet, indicating where a leak is present. You place the tablets in the tank of the toilet, and wait the prescribed amount of time to see if the dye shows up in the toilet bowl, indicating that a leak is present. If you’re more interested in a DIY solution, look in the kitchen cabinet to create your own version. With ordinary food coloring (red, blue or green), simply place a few drops into the tank of your toilet. After 10 minutes, look in the toilet bowl to see if any of the color appears. If it does, your suspicions are correct and your toilet has a leak. Go ahead and flush the toilet right away to prevent stains from forming in the bowl from the food coloring. The most common cause of a toilet leak is a faulty flapper, which can fail due to wear and tear or mineral buildup. Replacing a toilet flapper is an easy task for most do-it-yourselfers. If you decide to replace the flapper yourself, be sure to purchase the correct assembly for your toilet brand and model. It’s a good idea to take the old flapper with you so you get the right match. If your leak doesn’t have an easy fix, like a flapper change, and you may have to replace the toilet. If you have a home warranty plan that includes major systems like plumbing, your toilet repair or replacement may be covered under the warranty provisions. If you have to replace the toilet yourself, look for one that is labeled WaterSense to make sure you’re purchasing an energy-efficient model. According to EPA.gov, an average family replacing older toilets with WaterSense models can save 13,000 gallons of water each year. That comes to almost $2,400 in water and wastewater savings over the lifetime of the toilets, a significant difference for most households.